Returns on Services must be initiated within 30 days of purchase. Blue Mussel Aesthetics may issue a refund for pre-paid and un-rendered services only. It takes 7-14 business days after request to process a refund. 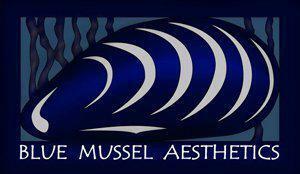 Blue Mussel Aesthetics will charge a return fee of 3% of the original purchase amount and for all types of payment. No refunds on partially used services packages will be given. A one-time exchange of the unused portion of the prepaid service toward other service is allowed. No Refunds on Products. Unopened products may be exchanged for alternative products within 30 days of purchase. “Spa credit” may be issues on a case by case basis. 12. ALL GIFT CERTIFICATES & GIFT CARDS EXPIRE 6 months from purchase date.